NBTY Europe, the owner of health food shop Holland & Barrett and sports nutrition retailer GNC, is looking for a UK agency to manage its consumer and corporate work. PRWeek understands that the process is being handled by Creativebrief and is in the very early stages. Holland & Barrett and GNC are owned by nutritional supplements manufacturer NBTY Europe, part of the NBTY group. 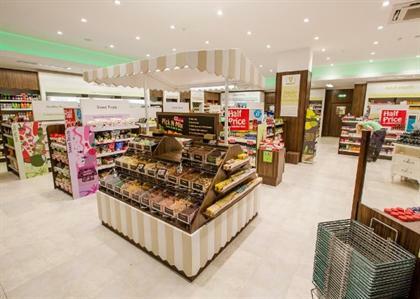 Holland & Barrett opened its 1,000th store at the end of last year, as the company continues to expand its presence in the UK. The company also has stores in the Netherlands, trading as De Tuinen. There are currently around 45 GNC stores in the UK, with plans to grow the brand over the coming year. Holland & Barrett currently works with Brighton-based agency Pegasus, which declined to comment when contacted by PRWeek. Emma Hobbs, group marketing manager at NBTY Europe, who is overseeing the process, also declined to comment.